Rubik’s Cubewich: Geekiest Sandwich Ever? 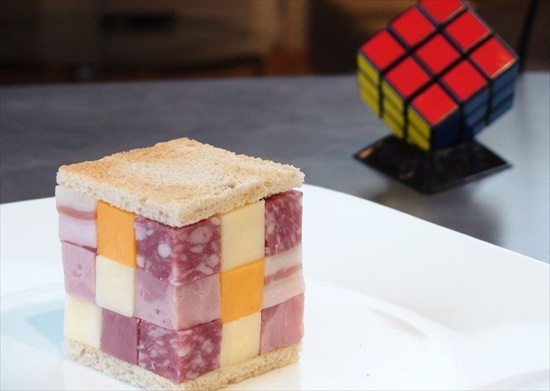 Made using cubed pastrami, kielbasa, pork fat, salami, and two types of cheddar cheese, this Rubik’s Cubewich is one of the most delightfully geeky sandwiches I’ve ever seen. Something about this sandwich screams gas city, but it’d be so worth it. I’d just have issues taking a bite out of the damn thing. It’s too pretty.